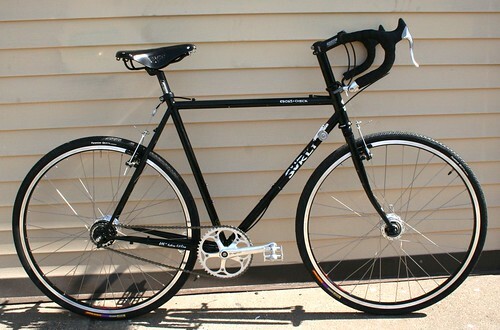 Alfine Hub, Drop Bars: OMG I want that! 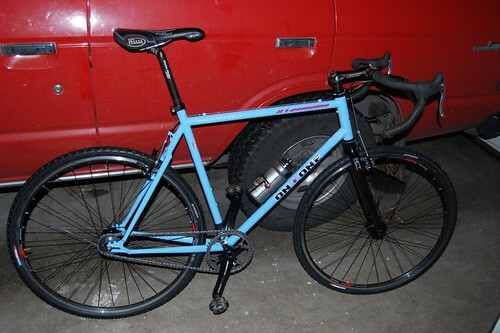 Kudos to the guys over at Hiawatha Cyclery for figuring this one out. I’ve been after this setup for a while for my On-One Pompino. It’s an Alfine internally geared hub with a convensional drop bar-end shifter. The trick is adding the Travel Agent to make up the extra cable pull necessary to shift the internal hub.